As part of its 65th founding anniversary, Security Bank Corporation turns the spotlight on its customers through the Better Banking Stories campaign. The BetterBanking Stories campaign shares the triumphs and struggles of real bank clients—varied as a celebrity doctor building her empire, a loving couple from different backgrounds raising their children, and a young actress finding her way in the industry—while giving them a common ground in their relationship with Security Bank. But the story doesn’t end among the famous, Security Bank decided to continue featuring other bank clients who made it big in their own field through the bank’s promise of Better Banking. A series of interviews with fifteen (and counting) personalities from varied walks of life — doctors, entrepreneurs, fashion icons, families, and career personalities — who are part of Security Bank’s multitude of clients nationwide. All the BettterBanking Stories are housed online on the BetterBanking Stories microsite. In their BetterBanking Stories, F and B entrepreneurs like veteran chef Jessie Sincioco and coffee-pioneer Andre Chanco share the excitement and struggles of growing their businesses. On the media side, blogger Cecile van Straten and editorial maven Juana Manahan-Yupangco discuss life before and after children. Across the pond of subcultures are UXMNL founder Phil Smithson and Spiralytics CEO Jimmy Cassells who discuss the challenges of running startups in hyper competitive industries as well as doctors who elaborate on their own relationships with patients. In a particularly poignant moment, Dr. Arturo Dela Peña, Medical Director of St. Luke’s Global City, reminisces about how falling face-first on horse manure motivated him — a farmer’s son — to study hard and become a doctor. But while the stories reflect deeply on each individual customer’s life — whether a focus on career growth, raising families, or life in the public eye — an undercurrent of surprise and satisfaction in their relationship with Security Bank runs across the campaign. Medical pioneers Dr. Vicki Belo, Dr. Arturo Dela Peña, and Dr. Dennis Serrano said they were very much impressed by the bank’s approach to clients, noting that the bank is relationship-driven and likening the bank’s approach to an excellent clinical experience any clinic should provide to its patients. While fashion experts Criselda Lontok and Tessa Prieto-Valdes both described a worry-free and secure experience with the bank. 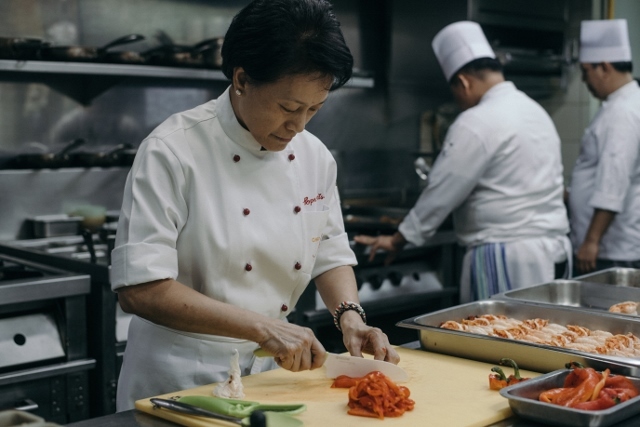 Food entrepreneurs like Erwan Heussaff, chef Jessie Sincioco, and Yardstick owner Andre Chanco agree that the bank cares about their financial aspirations and has been hands-on in guiding them to resolving daily business setbacks. On the other hand, startup entrepreneurs like Phil Smithson and Jimmy Cassells rave about the company’s focus on user experience. Actress Janine Gutierrez and renowned blogger Cecile van Straten shared their convenient, friendly and seamless experience with the bank from as simple as opening a bank account to applying for a home loan. Among the newest clients to share their story is Ramon Ballesca, Jr. who tells tales of how a secured online bank banking platform helps a lot in running a technology based company and investing is much easier to advance, especially for technically savvy market, with the help of Security Bank. “For 65 years, Security Bank has always been motivated and focused on the delivery of a better banking experience to its clients through stability and change. Our clients always inspire us to exceed expectations, and in return we support them to go outside their comfort zones and beyond the horizon,” says Patricia Tan.